I paper pieced stamps from The Crafts Meow "Stitched Flowers" set and used a greeting from the coordinating greetings stamps. I used My Minds Eye Lost and Found, Two, "Rosy" 6x6 stack, such cute papers! I think that greeting was written just for me! 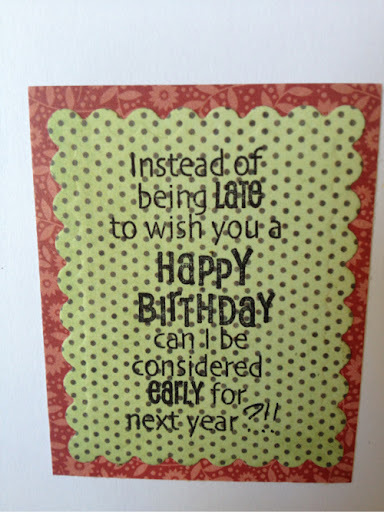 It's from the Stampendous Birthday Greetings set, which by the way is a really great "all around" handy stamp set! (I won this challenge )!!!!!!!!!!!! Thank you 365 Cards - I love your challenges! I love paper piecing Adrienne and this is a fab use of it. Terrific card!!! 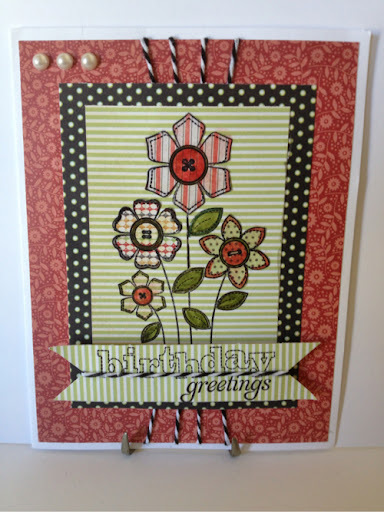 Fabulous card and I love the paper pieced flowers. Great job. 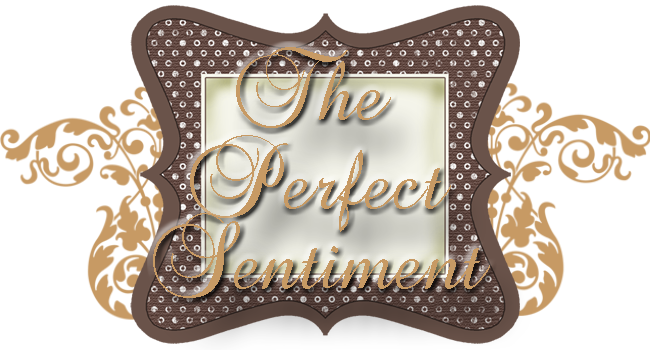 Thanks for playing with us in the Perfect Sentiment Birthday Blog Hop. Good luck.